Our 48 hour film project participation and win was apparently published in the fall edition of Informatics, our alma mater’s bi-yearly magazine. Too bad they didn’t publish the picture I emailed them too. Ah well. 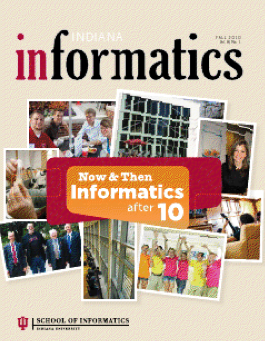 This magazine is mailed to students and alumni of Informatics, and will be sitting in the various school lobbies throughout the spring and summer semesters. Yay! This is along with our mention on the school’s website last summer. Baby steps..